SSC Notice | Latest Update on SSC JHT, Stenographer and Selection Posts! SSC has released a notice where the examination dates for SSC Stenographer, SSC JHT and SSC Selection Posts have been revised. Applicants can check the examination dates in the Notice mentioned below. SSC Notice – SSC has released alatest notice on the vendor for Exam conduct of SSC. Besides, also know the Expected Dates for SSC CPO and SSC CGL 2018. Watch the Live Discussion Video. Staff Selection Commission has released a notification regarding RFP for identification of Service Providers to conduct Computer Based Examination. SSC has published the Request for Proposal (RFP) on 17th Aug 2018. SSC has addressed the queries received from the bidders. Details of responses are at Annex-1 and the changes made to certain clauses of the RFP are reflected in the corrigendum given below. Bidders may refer to the Corrigendum along with the RFP. Find the official notice below. Staff Selection Commission has released an announcement making some changes in the notice released on 5th May, 2018. The changes are done on Para 2.1. The change is on age limits regarding the post of Group B Inspector under Central Bureau of Narcotics. Previously the age limits for the post was 18 to 27 years. According to the latest amendment the upper age limit has been extended to 30 years. Read below to know the previous updates done by SSC. The Staff Selection Commission has launched a new website with different look today. SSC has made the new website live today in its official notice. However the old website will also be accessible through a link provided in the new one. Candidates applying for the Constable(GD) in CAPFs, NIA, SSF, Riflemen in Assam Rifles exam will be able to do one-time registration there itself as well as submit the online application for 2018 exam. Have a look at the new SSC Official Website. 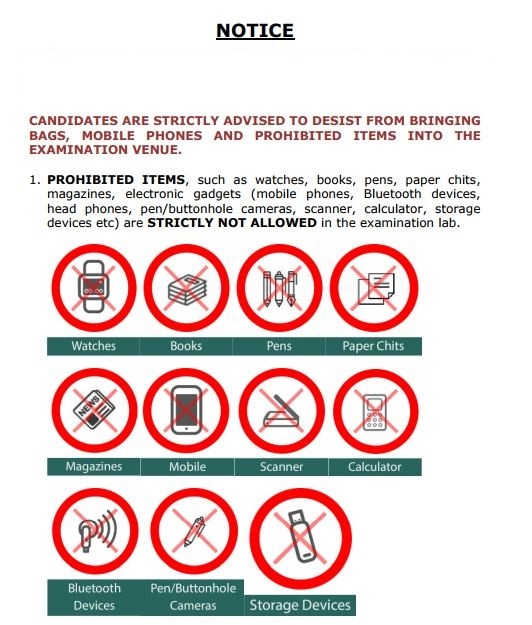 Staff Selection Commission has released the official revised exam calendar. In this notice, the exam date of SSC CGL Tier I exam 2018 is not mentioned. Therefore, it is expected that SSC CGL Tier I will get postponed. Earlier, the exam was scheduled from 25th July to 20th August 2018. The exact exam date of SSC CGL has not been notified yet. In this revised SSC Annual Calendar, you will find the list of all SSC exam dates. However, for most of the exams, the date is set to be notified later. Do write us in the comment section how do you feel about the delaying of SSC CGL Tier I Exam. Also, tell us did you find our post on SSC Notice regarding revised exam calendar helpful? Then, keep visiting us regularly for more official updates. And do share your thoughts with us in the comments section below. ‘Cause your opinion matters!